This is an extensive commentary on the Gospel of Mark by Rev. George Leo Haydock. 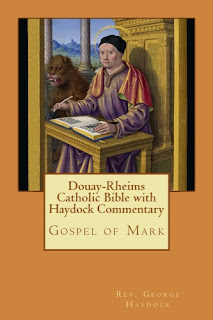 It also includes the Douay-Rheims Bible version for the Gospel of Mark.